Assuming there are no snags, like there were last year, Frog Quaffer will be traveling with Warren to Brazil and Colombia from 23 April to 10 May. These dates were chosen so there should be a small impact on Quaffee with the two weeks of travel both being only four-day weeks. You can follow our progress on our blog (which you can access directly on Quaffees.com). 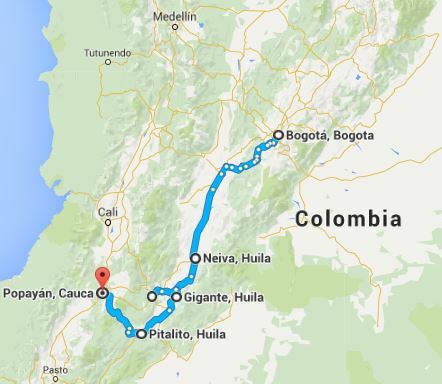 The trip will take us to some of the new farms and associations we are dealing with in Brazil, and some old favourites like x La Piramide new la Plata, Jaimie Casallas and Edilfonso Yara near Gigante, Los Naranjos and Los Idolos near Pitalito and The Asorganica producers near Popayán. We will also spend time with Caravela (previously called Virmax) tasting more coffees, and hopefully some of the other South and Central America coffees. Part of our last import from Virmax (now Caravela) we had a small microlot form Edilfonso. He and Jaimie Cassallas (a microlot we have already offered and sold out) have produces some remarkable coffees, and their microlots represent the pinnacle of their produce. And we are releasing this Limited Edition coffee today. You can read more here: quaffee.co.za/coffee/EdilfonsoYara. For up to the minute news and education on coffee follow us on twitter, facebook and instagram (although they all link back to twitter).